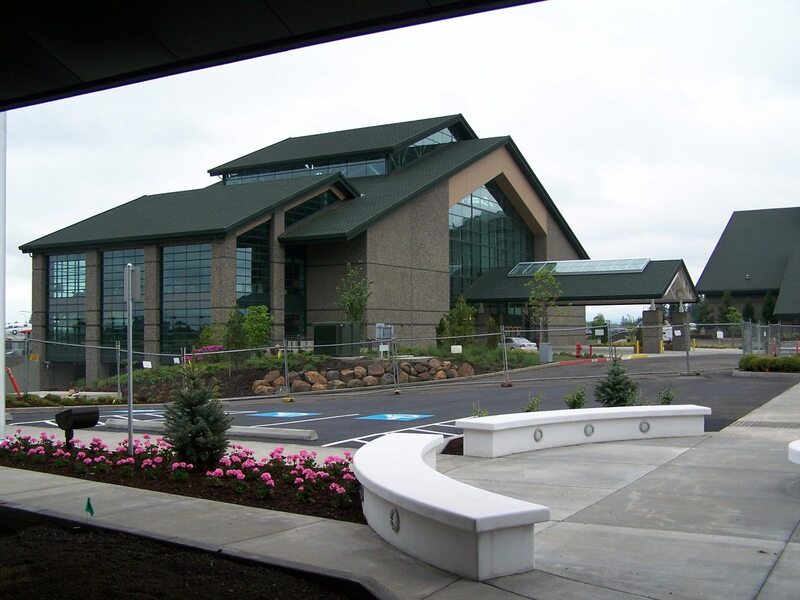 Evergreen Aviation and Space Musuem is located in McMinnville Oregon. In 2008 the space museum was nearing completion. 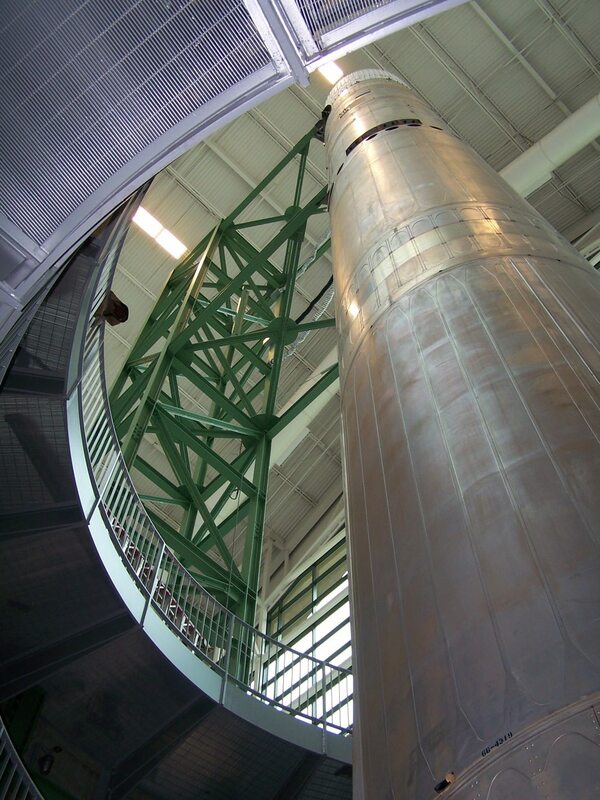 Eminent Technology was asked to provide low frequency sound effects and a soundtrack to the space museums Titan Missile Exhibit using its rotary woofer loudspeaker. 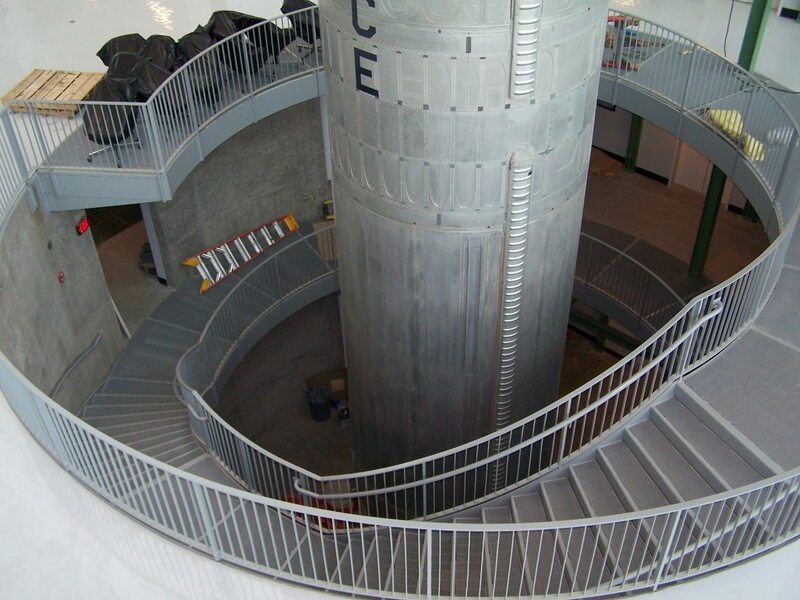 To accomodate the height of the Titan missile for the indoor display a below ground three story pit was designed to house the underground launch control room, concrete foundation, launch pad and gantry. The construction and layout were as true to the original as possible. The rotary woofer is located underneath the control room. The space museum's launch control room uses the original electronic consoles from Lockheed. 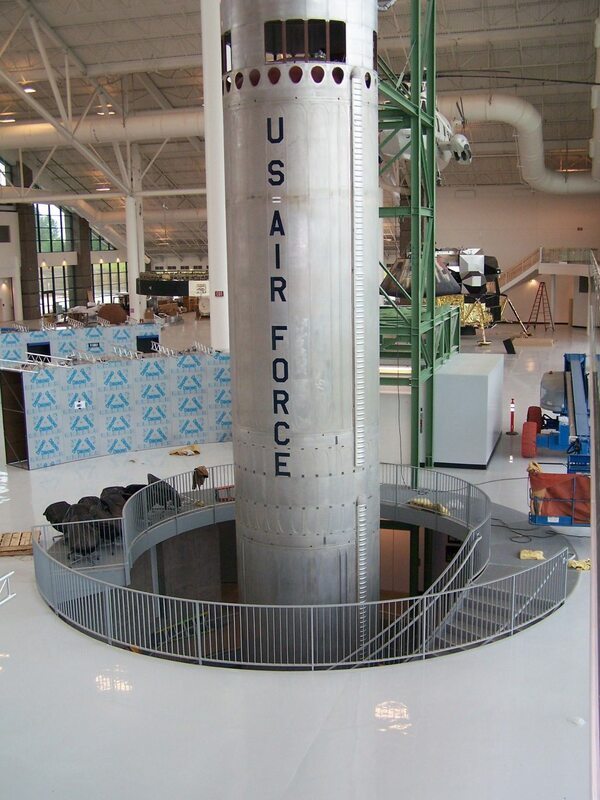 Besides its design as an ICBM, Titans were used to lift all of the Gemini space craft and became a mainstay for lifting a number of communication satellites into space. Colin Powers, director of restoration for Evergreen oversaw the procurement and installation of the equipment with the desire to make the launch control room as authentic as possible, even including the original blast doors. 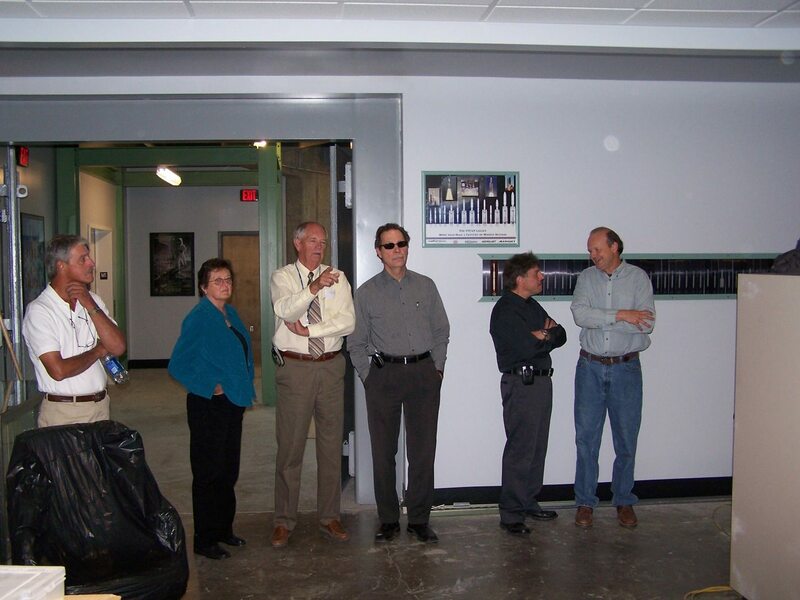 Marv Rowe, Jeff Rowe, Larry Cummings and Jeff Monahan of Primisys were responsible for making the control room light up and function again. 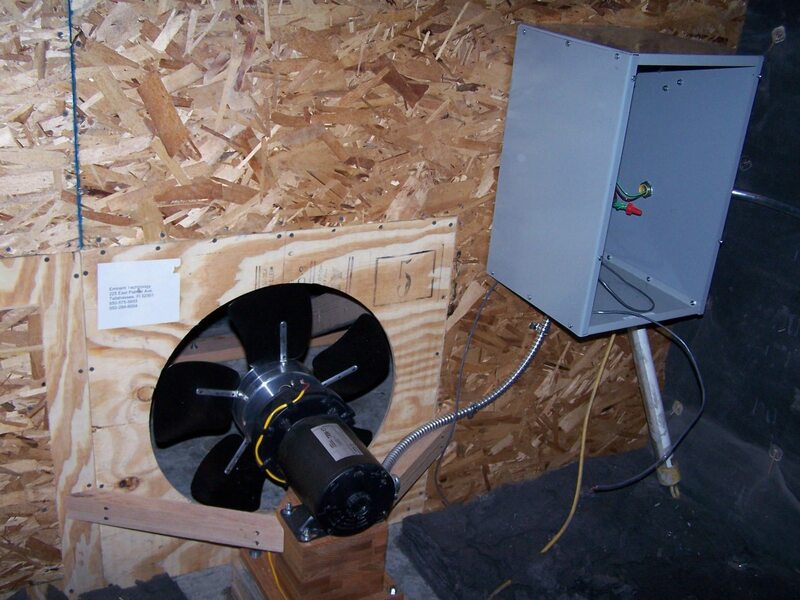 The rotary woofer was installed below the contol room. A concrete tunnel was poured underneath the control room foundation designed by Jim Barath of Sonics ESD and Bruce Thigpen of Eminent Technology. 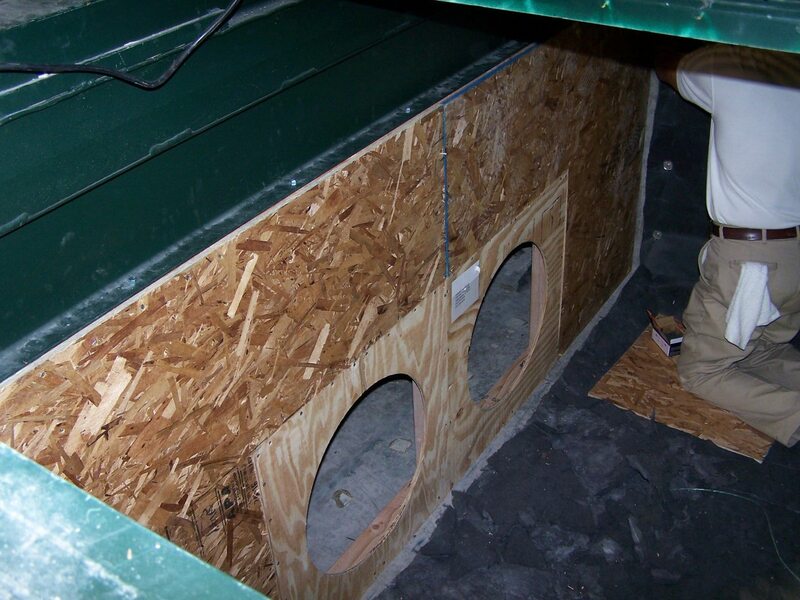 This is the floor opening into the woofer tunnel at the right rear corner of the control room. 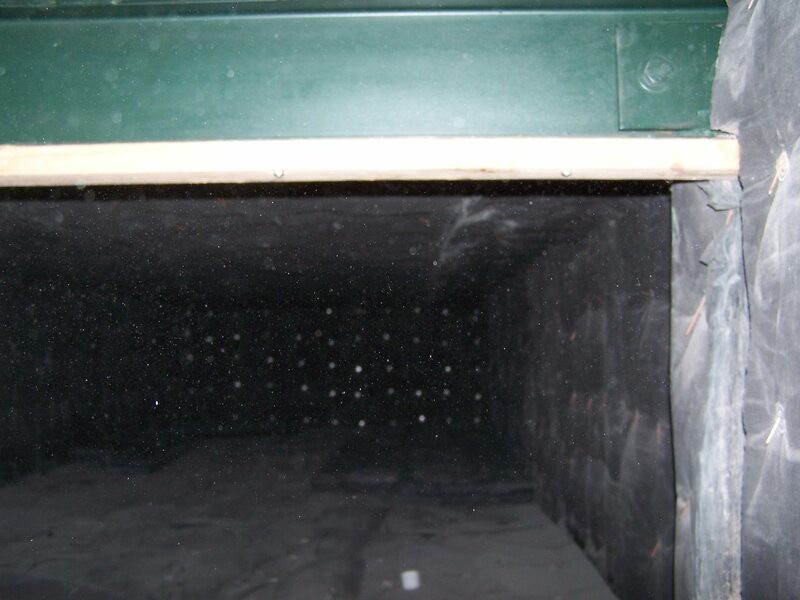 The tunnel - 30L by 10W by 5H feet was lined with insulation. 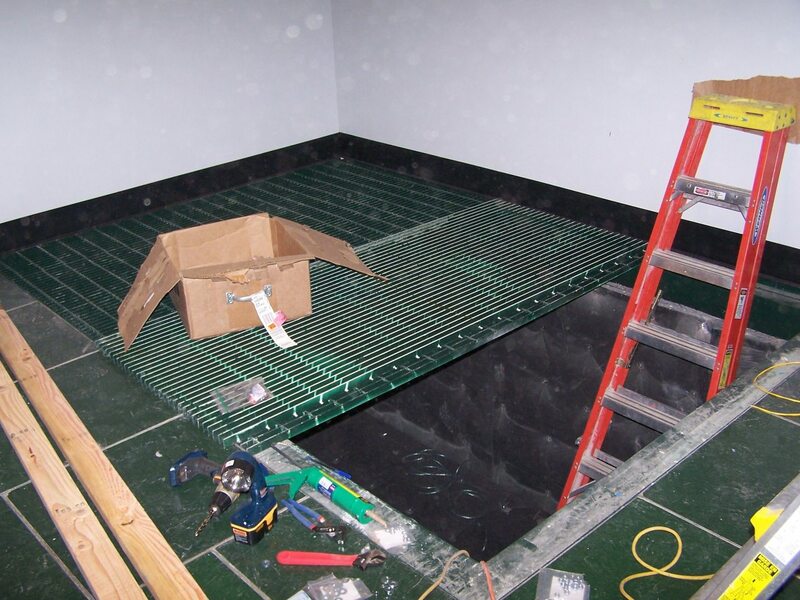 A baffle was installed at one end below an expanded metal floor opening into the control room. 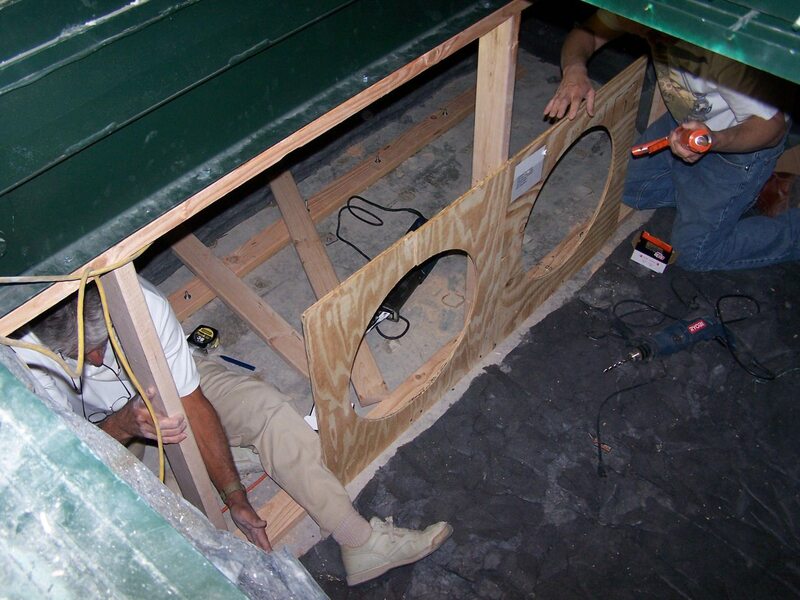 Here Chris Thursby and Bruce Thigpen are installing the rotary woofer baffle in the tunnel. We designed the installation to accommodate two rotary woofers. We ended up using one rotary woofer which was powerful enough for Colin Powers and Jim Barath. The stairway and pit house the Titan. The stairway leads to the underground launch control room. 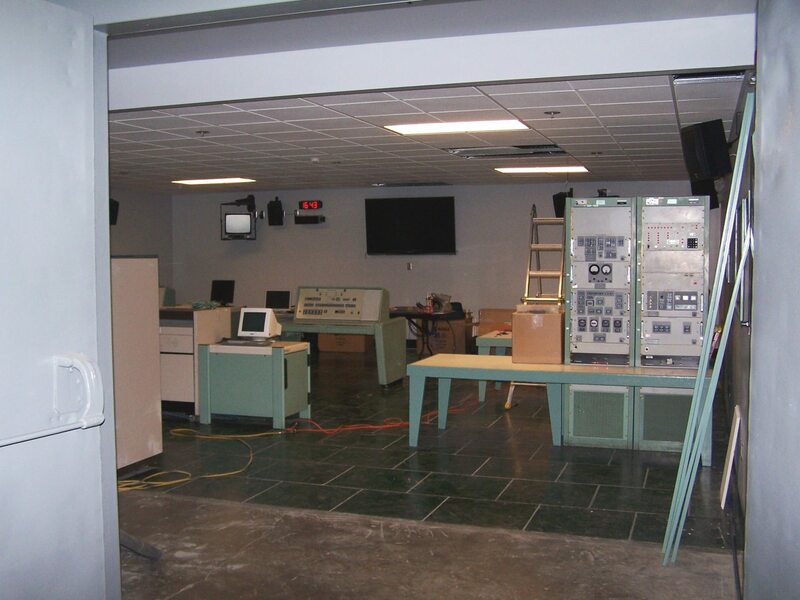 Primisys was tasked with the job of interfacing the original 1970 era launch control electronics to a PLC so that launch simulations could be conducted for museum attendees and educational functions. 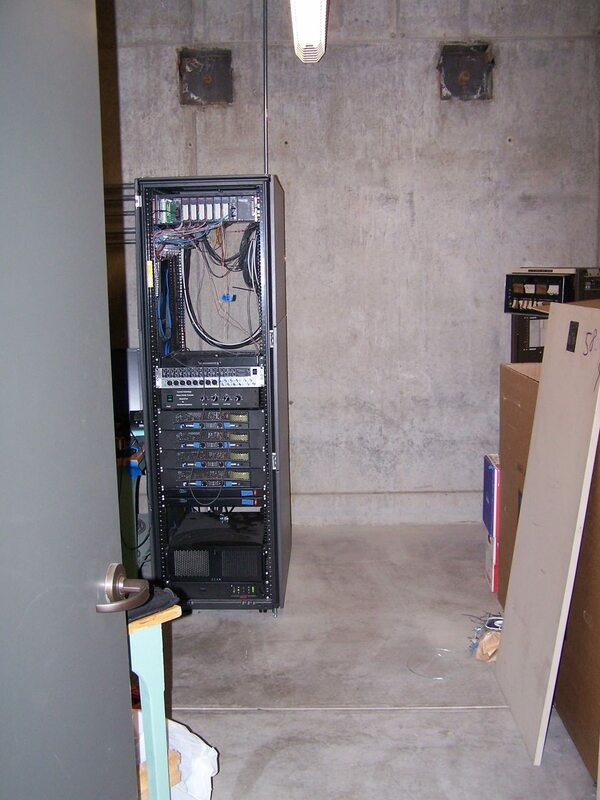 This is the launch control rack that houses the PLC, mixer and audio amplifiers being added to the installation. The motor controller frequency drive switching, audio cables and AC power getting connected to the rotary woofer. An 18inch pro audio woofer located below the floor grate (not shown) handles frequencies from 35Hz to 150Hz. The PLC controls the rotary woofer and spins it up about 10 seconds before the simulated lift off. The control room displays and satellite speakers. Left to right, Chris Thursby, Colin Powers and his wife, James Nelson, Jim Barath and Bruce Thigpen evaluating a launch simulation test . 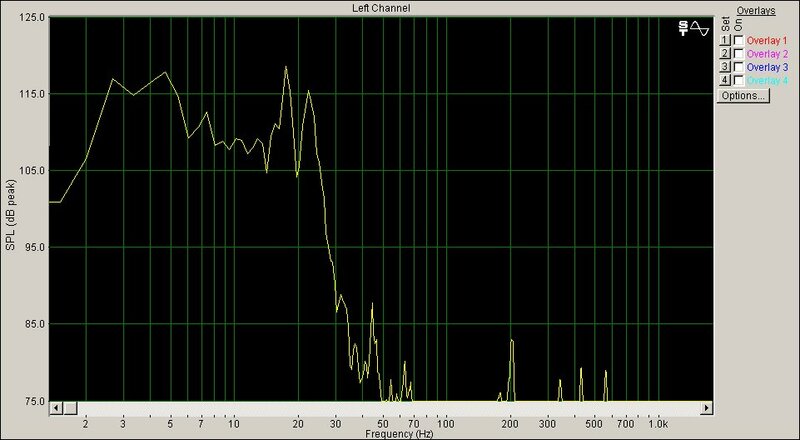 With a single rotary woofer the system was capapble of in excess of 120dB SPL below 25Hz. Distortion remained low for very high sound levels. 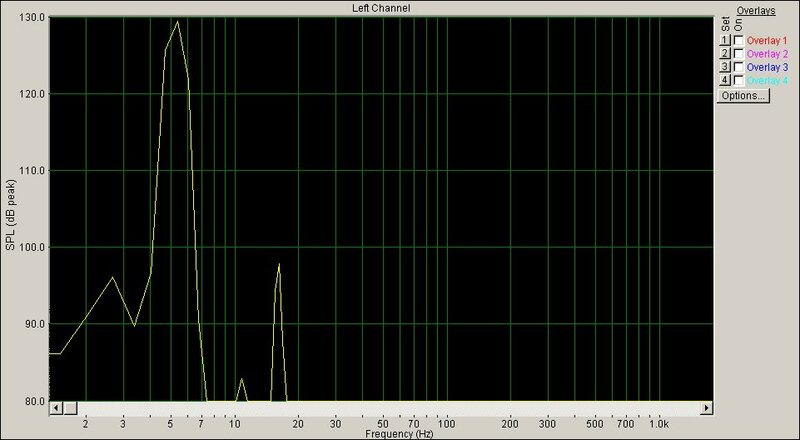 The frequency response of the woofer system using pink noise. 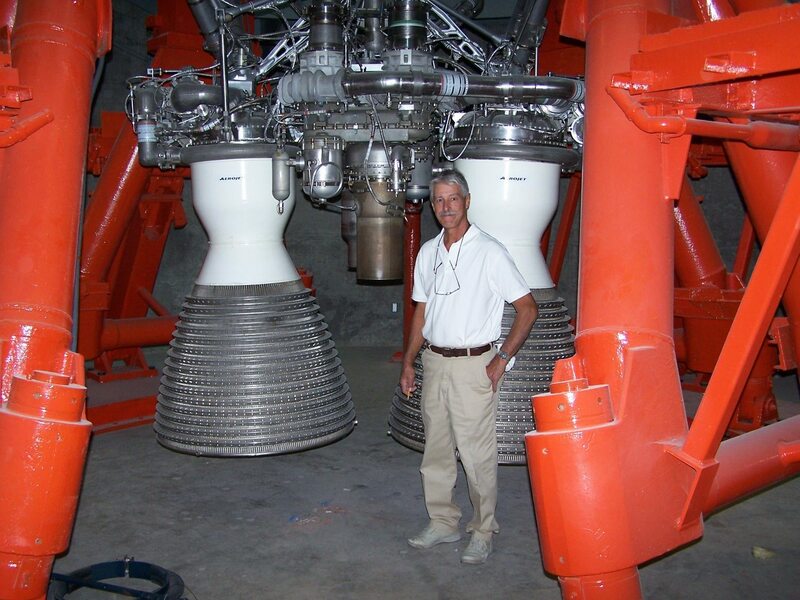 Winston Wright standing by the Titan engines. 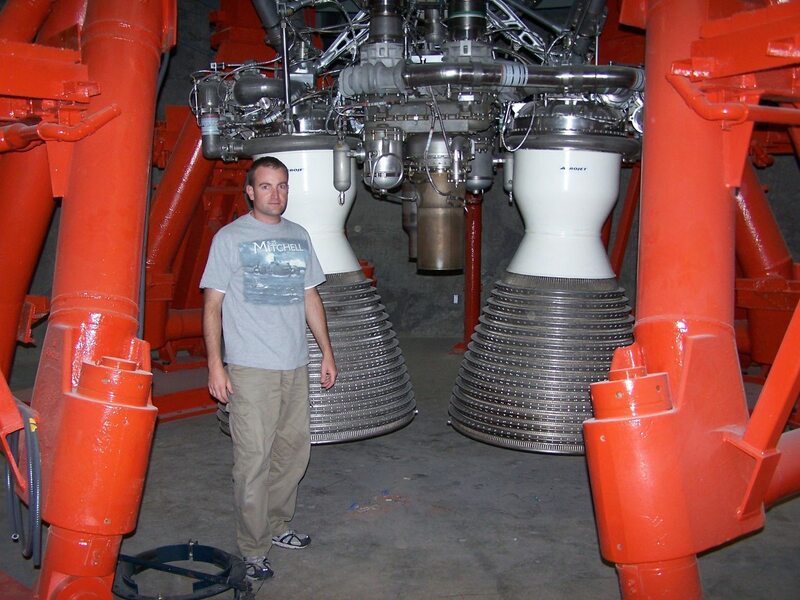 Chris Thursby standing by the Titan engines. All of the members of the Eminent Technology team are pilots. 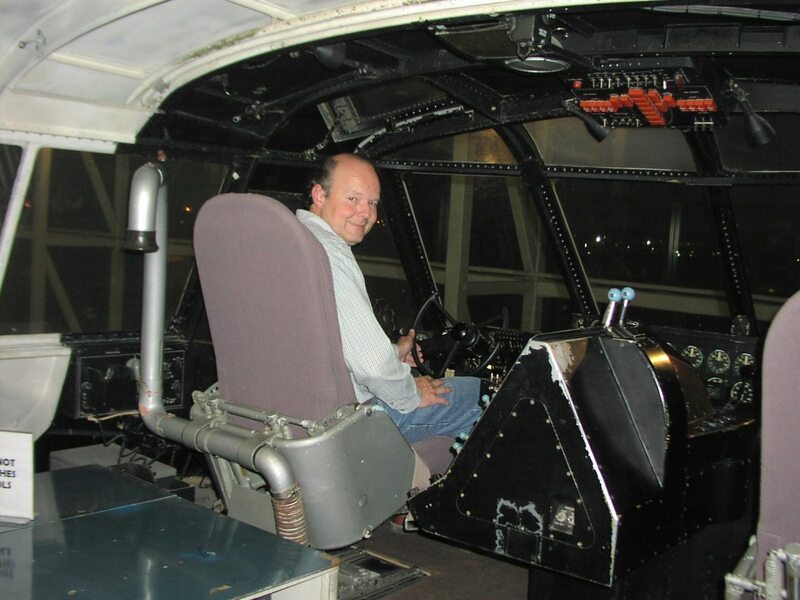 With an aviation museum next door, Evergreen had arranged to give us an after hours tour. 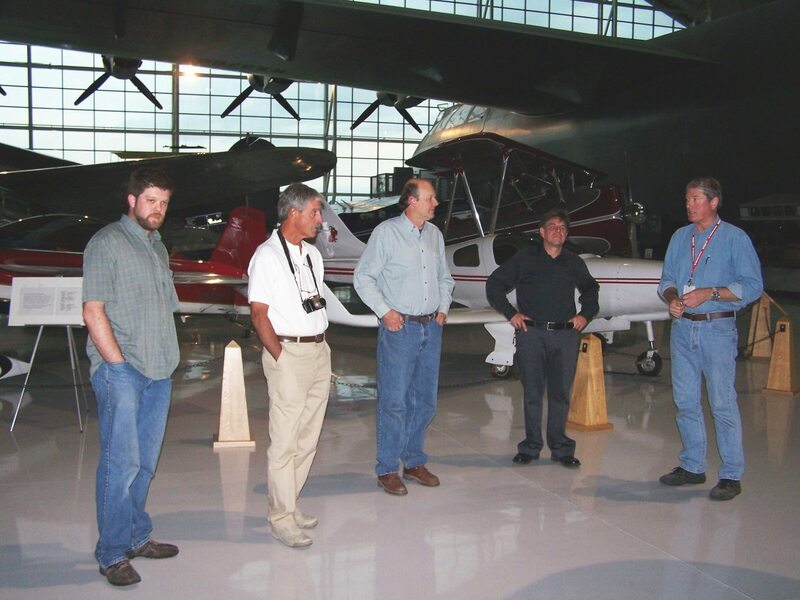 A big thrill for us was an extenisve tour of the Spruce Goose. 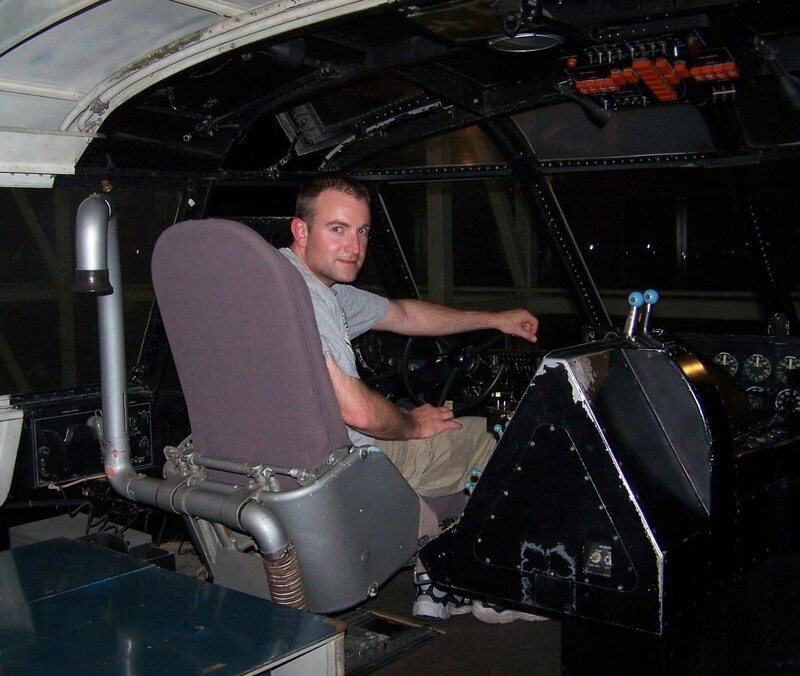 Here Chris Thursby sits in the pilots seat. 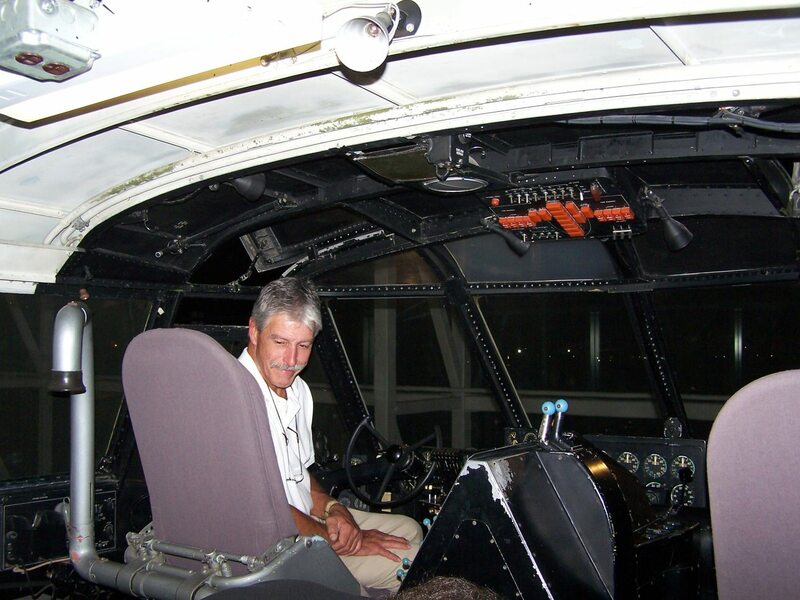 Bruce Thigpen at the controls of the Spruce Goose. And Winston Wright at the controls of the Spruce Goose. We would like to thank The Captain Michael King Smith Educational Institute, Delford Smith, Colin Powers, James Nelson, Marv Rowe, Chris Rowe, Larry Cummings, Jeff Monahan and the Evergreen Aviation and Space Museum staff. This is a must see aviation museum.